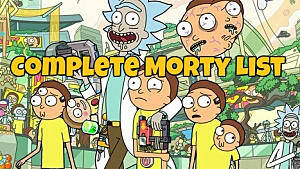 Season 3 of Adult Swim's masterful sci-fi dark comedy has been firing on all cylinders lately, culminating in Rick and Morty Season 3, Episode 5 “The Whirly Dirly Conspiracy”. 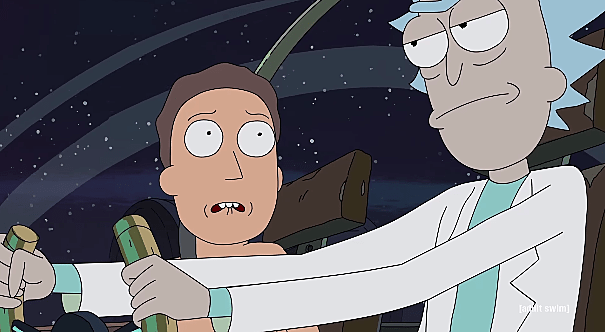 This week we get an unexpected Rick and Jerry adventure, offering a pairing that almost never happens as the two come to terms with Jerry and Beth's divorce. Things get predictably crazy -- and as this season has been known to do, they also get absurdly gory and even a little psychedelic. As a fun side adventure, Summer accidentally makes herself gigantic and spends the day trying to return to normal size by talking to some unhelpful tech support. 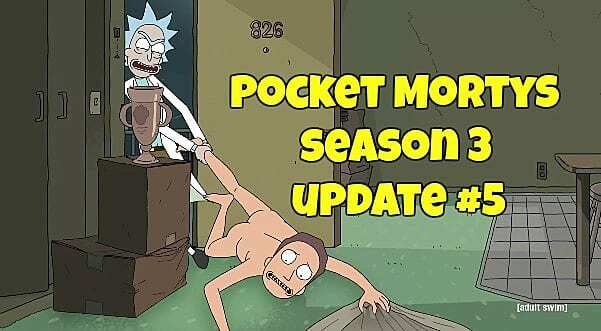 Hopefully Rick And Morty doesn't go the way of Dan Harmon's other show Community and take a nose dive in quality after the awesome third season. 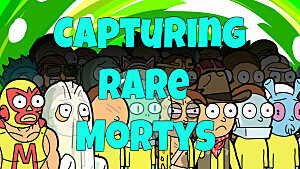 But for now, these new episodes are offering everything the fans want. 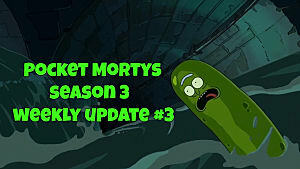 Weekly Update 3 - Pickle Rick! 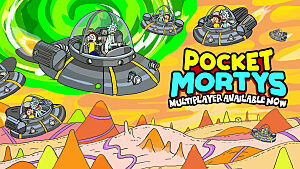 The aesthetic possibilities of your multiplayer trainer have absolutely exploded in these five weeks since the third season started, with favorites like Noop Noop, Pickle Rick, and Wasteland Jerry now overtaking the various dimensional playgrounds. 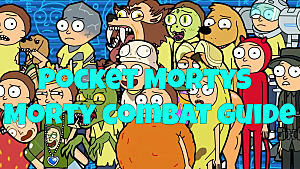 If you don't want another typical humdrum Rick running around Mortopia, this week you can now play as Giant Inside Out Summer, Schnoopy Bloopers, or the truly bizarre Risette Groupon. Grab yourself some tickets, head over to Salesman Rick's, and suit up! Sadly, there's no Eclipse Morty today, which seems like quite the oversight. I mean like, what's up with that dawg? The whole world was waiting for it! 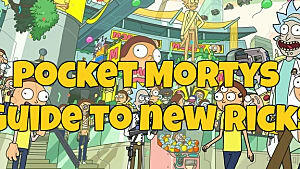 Oh well, we got some cool new additions to the Morty Deck anyway. 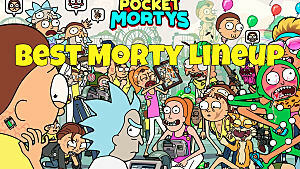 There may be a couple more Mortys hiding around in one of the dimensions, considering we got six Mortys last week and five the week before that. This one's got a very Tiny Tim vibe going on, and seems like he really needs a nice Christmas dinner before dying horribly as his father is laid off by Scrooge Rick. 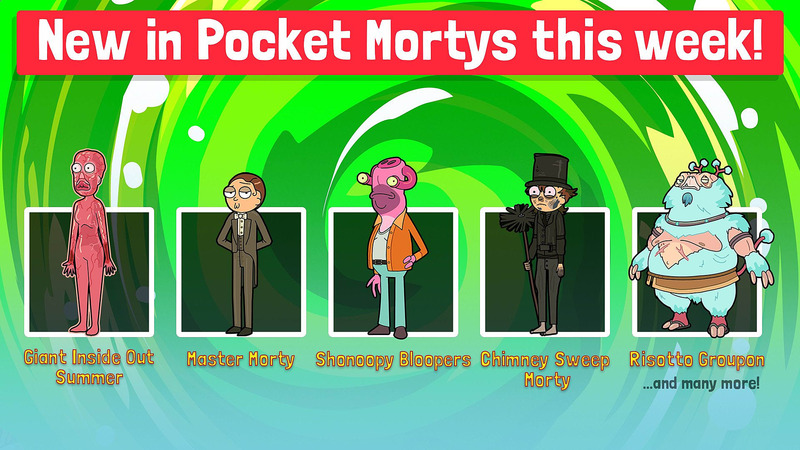 Combining two Poorhouse Mortys together gives you the upgraded Chimney Sweep Morty, but both are pretty sad on the skill loadout. This exceedingly sad and dirty Morty was forced by his Rick to climb up chimneys and sweep away the soot in Victorian England. His reward was a slice of stale bread and some drippings of dubious origin. No longer a down-on-his luck Morty, this one becomes the master of the estate when you combine Chimney Sweep Mortys together. Did you manage to track down any others besides these three? Let us know in the comments section below! 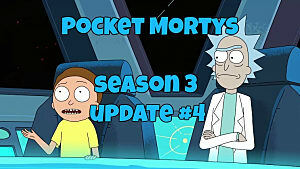 If you haven't caught Rick And Morty Season 3 Episode 5 yet, do yourself a favor and catch up at the Adult Swim streaming site. 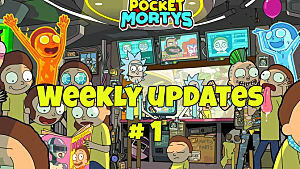 That's all for this week's Pocket Mortys update - catch you R&M fanatics again next Monday with update #6!